The Best Hiking & Camping Backpacks | You Need to Know. Find the highest-rated and best reviewed backpacks for backpacking, camping, hiking and outdoor gear. We have found the best backpacks you could ever buy! Searching for the best backpacks for hiking or camping? 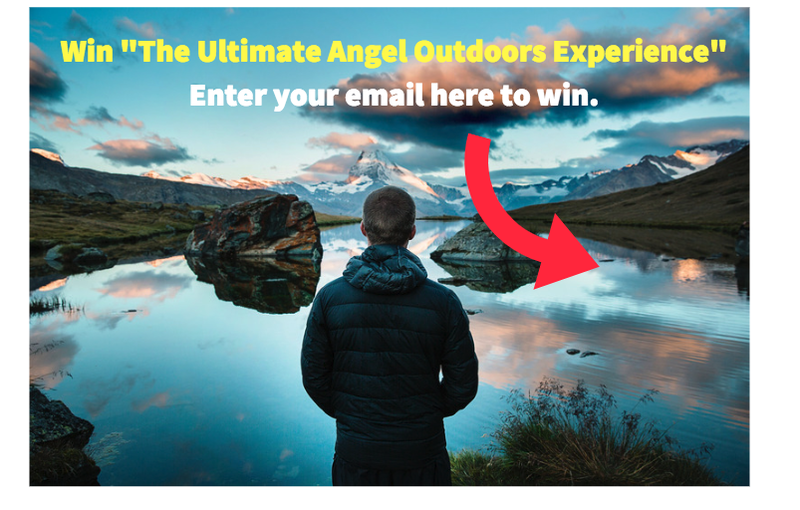 We're here to help you on your next outdoor journey! best backpacks to buy. rated and Reviewed. There’s a reason a hiker’s backpack is part of the Big 3. (Along with a shelter and sleep system, of course). Your pack is an absolutely essential piece of gear that can make or break your trip. Chose the wrong hiking backpack and you’ll ache your way through the trip. So, what makes for the best hiking backpack? 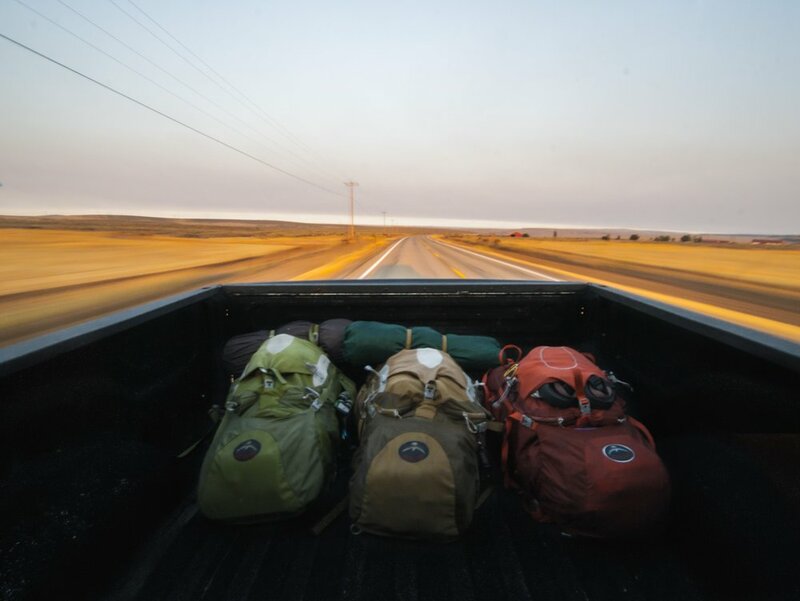 The best rucksacks deliver it all: comfort, durability, capacity and features. If it’s the right fit, well-organized, and durable, your pack will help you put away the miles faster and with greater ease. Looking for a new pack to head out on the trail? We’re hoping this will give you a lay of the land. We’ve poured over the latest and greatest, and whittled down a list of the best hiking backpacks on the market today. From just-enough daytrip packs, to heavy-duty expedition rucksacks, these are some of our favorite adventure and camping backpacks of the year. Below you will find the top rated backpacks of the Year. Backpackers love Osprey Packs. 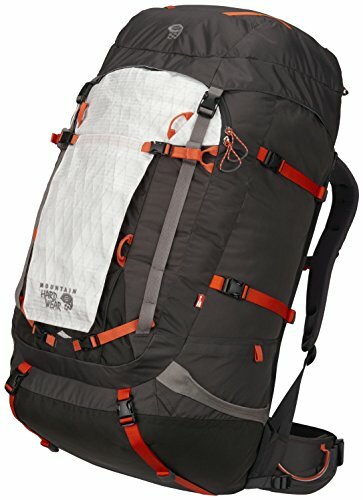 The company has built a reputation for producing packs that are comfortable, well-organized, and super durable. And the award-winning Osprey Atmos might just be the epitome of the Osprey brand. The Atmos delivers it all: superior comfort thanks to its Anti-Gravity suspension system, nine pockets for plenty of storage, and a wide range of premium features (like a removable floating top lid, hydration sleeve compatibility, and Fit-on-the-Fly hip belt). The comfort that this pack provides, though, is off the charts. The Anti-Gravity systems utilizes integrated frame sheets and a trampoline-style back panel to provide incredible weight distribution. Your load won’t feel nearly as heavy as it is. Yet, the mesh-lined panel also creates a great ventilation channel, providing great airflow even when you have a full load. Beyond ventilation and comfort, the pack is well organized: there are nine pockets, including dual mesh pockets with easy access, a hip belt pocket, and two pockets in the floating top lid. Want to lighten your load? Remove the floating lid, and use the integrated flapjack top. 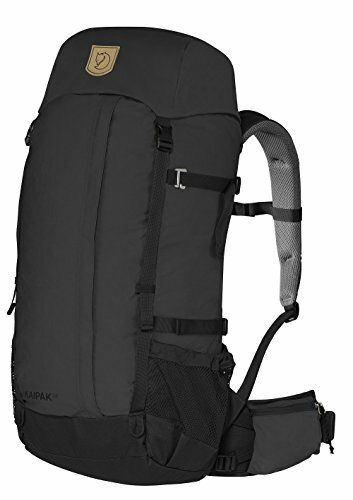 This is an all-around awesome pack for weekend or week-long backpacking trips. Pros: The Atmos is protected by Osprey’s All Mighty Guarantee, meaning repairs are covered for the entire life of the pack. Plus, the Anti-Gravity Suspension is unbeatable. Cons: The Atmos has the look of a classic backpacking backpack. If you’re looking for a more modern look (ala HMG), you won’t find it here. The Verdict: The Atoms wins awards for its comfort. This is one of our favorite hiking backpacks, combining both lightweight, durability and comfortability, all-in-one. Click Here to Buy the Osprey Backpack! For multi-day backcountry treks, a comfortable pack is a necessity. No one wants to feel all that weight on their backs. So, if you’re looking for comfort, the Deuter Aircontact pack is the way to go. The company has been on a mission to refine and re-engineer backpack suspension systems, and you find the fruits of that innovative thinking in this pack. The Aircontact system uses an integrated X-shaped aluminum frame to provide maximum stability. With cushy back paneling that’s designed to allow steady airflow, the pack helps evenly distribute heavy loads and takes the majority of the weight off your back. That might be enough reason to consider the pack. But there are plenty of other great features: the Aircontact has seven pockets, including an easy-access front zipper and a detachable lid (with two pockets of its own). The lid is also height adjustable, which gives you those 10 extra liters. The Vari Quick adjustable torso straps increase comfort, as well, while the super-foamy back panels make this feel like you’re lying down on a mattress. Pros: This pack is built for comfort. Even heavy loads are stable, and the back paneling is made with cell foam tech, which contours and distributes weight. Cons: The Aircontact 65 is relatively heavy at 6+ pounds, (although Deuter has introduced an Aircontact Lite version that’s a couple pounds lighter). The Verdict: Great suspension and plenty of space, the Aircontact 65 is one of the most versatile packs on the market. Trail packs just keeps getting lighter, and the hardwear BMG 105 is proof of that trend. Weighing in at less than 30 ounces, the pack is super lightweight. (Would you expect anything less from Mountain Hardwear?) But here’s the thing: the Daybreak is big on features. Built with ultra-durable fabric, the pack is super durable. Plus, it’s well-organized. The pack features a convenient zipper design, which matches perfectly with the accessible front and water pockets. Taking a bulky load out with you? You’ll love this Hardwear. The pack is built for max comfort – thanks to a padded back panel suspension system, meaty hip belt, and spacer mesh shoulder straps. Yet for such a lightweight pack, the fabric doesn’t feel flimsy or cheap. This fabric is used in abundance and the fabric protects the pack from the elements. It’s essentially waterproof, in fact – making the pack a favorite of backcountry photographers. OutDry construction main compartment, rain room tested for overnight experience. "Two-part / FitLock, multi-density padded waist belt, with gear loops, built to carry the heaviest loads in comfort." "Multiple lash points and long compression webbing allow for overloads while effectively reducing volume as needed to keep any size load stable." "HardWave suspension conforms comfortably to the curve of your back and distributes weight evenly but is removable for carrying light loads." "Large zippered front pocket allows storage of frequently needed items or tools and maintains volume even when main compartment is full. Pros: BMG packs are known for being lightweight. And the Hardwear BMG 105 certainly falls in line with that tradition, weighing in as a lightweight backpack. Cons: The Hardwear costs about $250, and that might be more than some want to spend on a mountain backpack. But if you do a lot of day hikes, it’s a solid investment. The Verdict: A great lightweight pack, the Hardwear has the right feature set for quick and dirty day (and night) hikes. The Skyline 15 packs tons of versatility into a small, daypack bag. The pack is equipped with a clamshell zipper style, as well as many different pockets and an integrated rain tarp. And the organization is great: there are nine pockets, as well as interior mesh dividers and a pocket on the hip belt. A front pass-through provides super-convenient access, too. 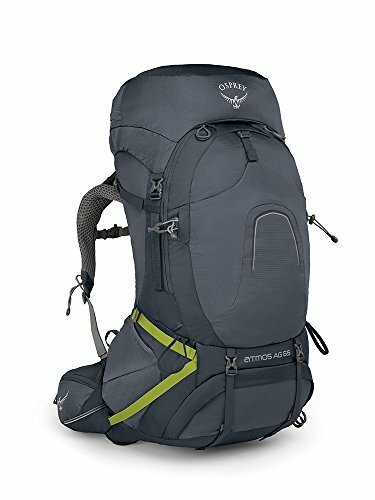 Yet, here’s what sets this daypack apart: the Skyline has a unique Switchback suspension system, which makes hiking much easier and less burdensome. What does Switchback mean, you ask? 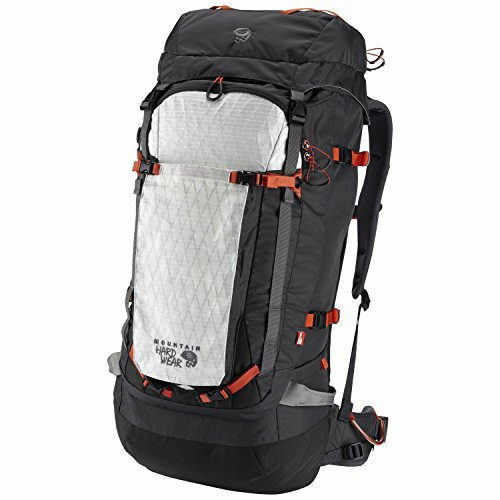 Well, essentially, this pack has two suspension modes: air and contact modes. In contact, you get a fairly standard suspension. The pack sits flush with your back with an integrated frame sheet and a mesh venting system. In air mode, on the other hand, the Skyline 15 creates a horseshoe-shaped pocket on the back, allowing for maximum ventilation for your backpacking trips. Pros: The Skyline has a small footprint, but is capable of carrying heavy loads. Plus, the Switchback suspension system offers versatility and superior ventilation – you can choose how to carry the load. Cons: There’s tons of added value features in this pack, but in some areas, the pack can feel over designed. There’s so much here, you might only end up using a few of these features. The Verdict: The Skyline blows us away for its innovative features and supercool suspension system. You should definitely check this backpack out in your search for the best backpack for you! Click Here to Buy the Skyline Backpack! 5. Deuter “Speed Lite 20” | One of the Best in the World! The Speed Lite 20 has a fitting name. 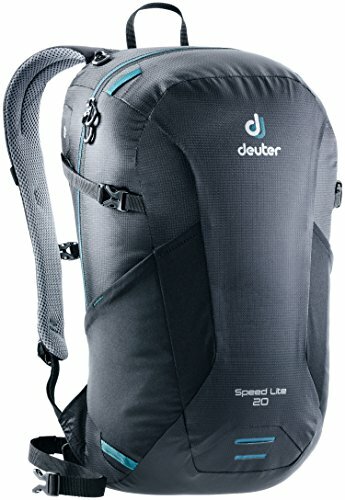 This Deuter 20 L daypack is equal parts light (weighing just about one pound) and it’s designed for those hikers concerned with logging miles. It’s built for speed. What’s more, the pack has a truly awesome feature set. The Speed Lite is hydration compatible, it has adjustable straps for custom fitting, and it’s built for maximum ventilation thanks to its 3-D mesh liner. For a daypack, the Speed Lite is also built for carrying gear comfortably. The pack benefits from its internal Delrin U-frame, which provides great support, and the padded shoulder harnesses and bottom reinforcements add sturdiness and stability. This is the perfect pack for on-the-move day hikers and backpackers. Pros: The Deuter Speed Lite 20 is super light, and provides comfortable support. Not to mention, it comes in at about $75, making this an ideal beginner daypack. Cons: The hip belt could be a bit cushier. (Although it is removable, if you decide you don’t need it for your trip). The Verdict: The Speed Lite is a featherweight with heavy-duty suspension. Definitely a daypack worth checking out in your search for the best travel and lightweight outdoor gear. Click Here to Buy the Deuter Speed Lite Backpack! 6. North Face “Prophet” 100 | Sleek, durable, comfortable. The North Face's "Prophet" is an expedition backpack, through and through. If you need to take ALL of your gear into the most extreme conditions… well, this pack is designed to do just that. Released just recently, the Prophet 100 (and the more compact Prophet 85) feature a number of new North Face innovations that the most avid of mountaineers will love. here is a link to: buy the northface prophet. For example, the Prophet series is the first to feature the Dyno Carry suspension system. No more taking off your pack to adjust weight. Dyno Carry allows you to control and redistribute weight with the pack on your back. At the torso, a tab allows you to adjust torso length and the pack’s closeness to your body. Dyno Carry also makes it possible to adjust side-to-side weight. 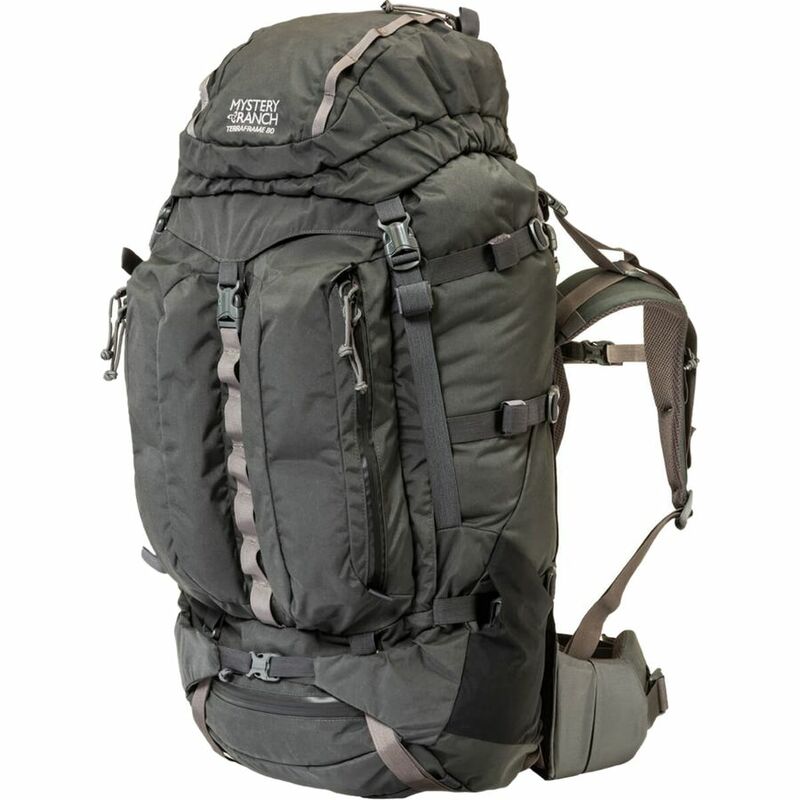 And the aluminum internal frame gives the pack a super rigidness that’s ideal for heavy loads. The Prophet is highly durable, too. It’s built with rip-resistant, heavy-duty Nylon. And it’s well-organized to the max. The pack features convenient tool pouches on the front and side – perfect for crampons or climbing rope. There are pockets on the belt (great for stowing avalanche gear), and the removable lid allows a couple of different configurations, depending on the type of trip you’re planning. Pros: The Dyno Carry system is ideal for balancing your pack in tough conditions – it’s a game-changer in comfort and load stability. Cons: The Prophet’s expensive, and it’s too big for most backpackers. If you aren’t planning a ski mountaineering trip or a weeklong expedition, you might benefit from a more compact pack. The Verdict: Hands down, the Prophet 100 is the Cadillac of mountaineering packs. Another one that should absolutely be in your closet ready to pull out on a whims notice for an awesome backpacking and mountaineering experience. 7. Mystery Ranch “Terraframe 80” | Amazing, light and sturdy. If there’s one thing that makes the Mystery Ranch Backpacks is the pack’s “Overload system.” Mystery Ranch introduced the feature years ago in its military and hunting packs. But for a long time, it hadn’t been introduced in a traditional hiking pack. Top 10 backpacks for outdoors hiking, camping, backpacking! That changes with the Terraframe 80. Here’s how it works: the pack can be removed from the hybrid internal/external frame, which reveals a load shelf for stowing additional gear. The feature is perfect for packing in awkward-shaped gear like an inflatable kayak, and it lets hikers instantly increase their capacity. It sits on the shelf, and gets sandwiched between the pack and the frame. 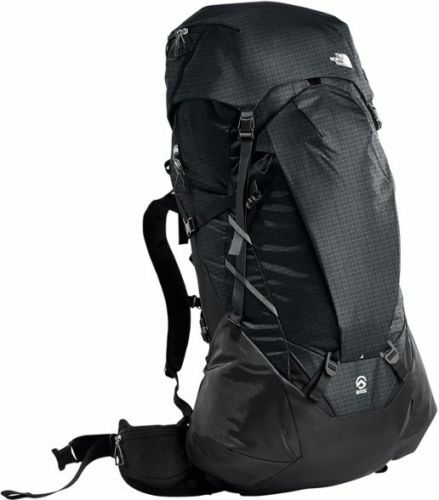 Not to mention, this is a beast of a backpacking pack. The Terraframe has a max carrying capacity of 150 pounds (yes, you read that right!). Plus, it’s fitted with a number of useful features. The detachable top lid, for instance, quickly converts into a blitz pack, great for summit pushes or day hikes away from basecamp. It’s hydration compatible. And the organization is great: the Terraframe utilizes Mystery Ranch’s three-zip system, making it possible to access the entire pack quickly. Pros: The Overload feature makes this pack so useful, especially if you plan to carry gear that won’t fit in a traditional pack (kayaks, big tents, bear cans, etc.) And the blitz backpack is an added bonus. Cons: The price. 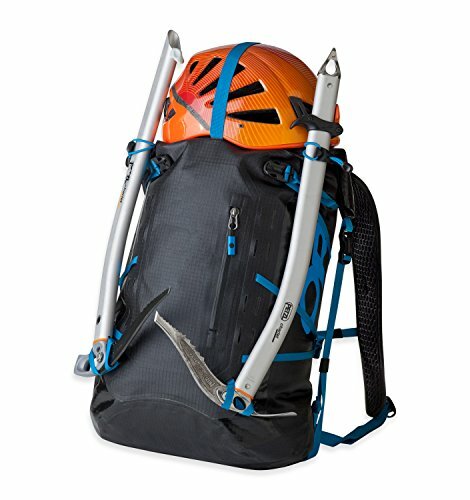 This is an incredible pack with tons of versatility. But at $400+, it’s certainly not cheap. The Verdict: A pack built for deep backcountry adventures, the Terraframe 80 is built to carry the kitchen sink. Note: the only available products left on Amazon for the Mystery Ranch line is the Mystery Ranch "Terraframe" Backpack, which is just as good (if not better) than the quality above. Click Here to Buy the Mystery Ranch Backpack! Need a backpack for extreme conditions? Rain, Snow? Hail the Outdoor Research Dry! Headed out to tackle some Class IV rapids? Or maybe you want to keep your gear dry in torrential rain? Well, this is your pack. The Payload from Outdoor Research is designed to get wet AND keep your gear dry. That’s possible thanks to a number of innovations, including its TPU-laminated nylon fabric (basically the outer shell is protected by a waterproof coating), leak-resistant welded seams, and unique roll-top closure. In fact, all of these features allow the Payload to be completely watertight when submerged, making this a must-have pack for kayakers and skiers. But that’s not all; the Payload backpack isn’t just a waterproof pack. It’s also built for hauling a solid amount of great – up to about 20 pounds – and you can carry it comfortably. Thanks to the pack’s convertible hip belt (which also serves as a side compression strap when not in use), sternum strap, and padded shoulder straps and back panel, the Payload evenly distributes moderate loads. Pros: The Payload offers the ultimate defense against water and wet conditions. It’s perfect for skiers, kayaks, or ice climbers. Plus, there’s plenty of comprehension, making it easy to tighten loads to your back. Cons: The Payload doesn’t have a framesheet, which, for some, might be a plus. Yet, this lack of a rigid back can cause barreling, especially when packing larger loads. Also: without any exterior pockets, the pack can make organization a challenge. The Verdict: The Payload earns best marks for its waterproofing. This is a great all-around drybag that does double-duty as a daypack. 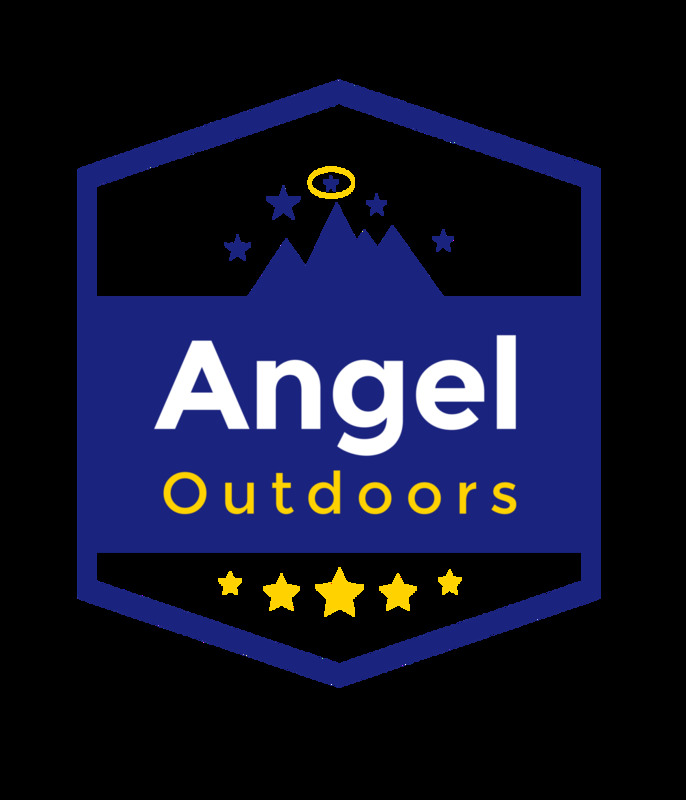 Check them out and see if you like what this outdoor pack can do for you. Click to Buy the Outdoor Research Dry Payload! 9. Fjallraven “Kaipak” 38 | The Best Swedish Backpack. The Kaipak has pared-down Scandinavian style, keeping in line with the Swedish company’s aesthetics. Looks can be deceiving. The pack might look like it lacks features, but the truth is the Kaipak is super versatile. Made with G-1000 fabric – a tightly woven cotton/polyester blend and a Fjallraven original – the pack will last a lifetime. Plus, adding a coat of Greenland Wax renders the pack practically waterproof. Yet, beyond the styling and durability, the Kaipak, which is available in 28-, 38- and 58-liter versions, gives hikers a lot to love. In terms of organization, it’s simple and straightforward. The pack opens from the top. Yet there’s a complete front-facing pocket for quick access to the essentials. Below, the pack has two large water bottle holders, as well as four side comprehension straps. The lid adjusts, allowing you to stow those taller items, as well. Pros: Fjallraven packs are known for their durability. 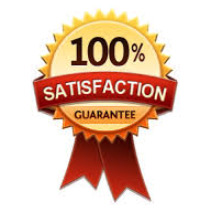 That G-1000 fabric is built to last, so this will be an investment that will last a lifetime. Cons: For a daypack, this one weighs a little much at just over three pounds. That’s mostly in part to the rugged construction and materials. The Verdict: All around, the Kaipak is a nifty daypack with loads of Scandinavian style. A great daypack that brings comfort and convenience for beginners, intermediate and advanced climbers, hikers and backpackers. Click to buy the Fjallraven Backpack! The Ozonic 70’s claim to fame is that it’s a waterproof pack. No joke. This thing (well, the main compartment, at least) stands up to torrential downpours. Plenty of hikers test it out in the shower just to make sure. In other words, it’s the perfect pack for all-weather conditions. Not to mention, the Ozonic features a nifty minimalist design and an abundance of easy-access space. There are two generous side pockets, perfect for stashing water bottles or trail snacks. The top features a detachable lid compartment, with some decent space. And dual Z cinch ropes give the pack great comprehension. Overall, comfort is right in line with most of its competitors. The Ozonic features a traditional contact suspension system with built-in mesh air vents. Plus, the pack’s meaty hip belt and cushy sternum straps provide comfortable stability. Pros: Hands down, the waterproofing is the pack’s biggest selling point. It’s perfect for hiker’s who regularly rough it in the rain. 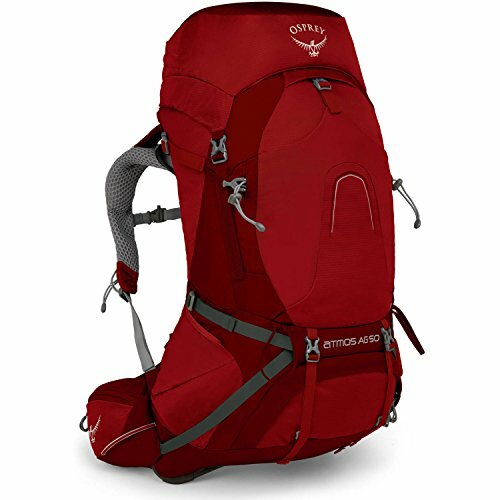 Cons: For a 70 L pack, the Ozonic has a somewhat limited max recommended weight. The Verdict: The Ozonic earns praise for its waterproofed main compartment, but it’s organization makes it a winner on the trail. Click to buy the Mountain Hardwear Backpack ! Hopefully, our ranking of the best camping backpacks gives you a good idea of what’s out there. But you probably have a bunch more questions. Picking a camping pack isn’t an easy decision. Serious hikers spend dozens of hours weighing the options before choosing one. Need a bit of help selecting the best backpacks for your outdoor gear? Good news: our outdoor gear reviews look at the best rated and ranked products for your hiking, backpacking, and camping experiences. This really depends on the type of hiking you want to do. For daylong adventures, a daypack is the right choice (typically 20 L to 35 L). For multi-day hiking trips, you’ll need something more substantial (think: 45 L for an overnight, 65 L for a long weekend trip, and 85 L+ for a weeklong excursion). Weight’s a big factor for lightweight and ultralight hikers. The majority of multi-day camping packs weigh 4-6 pounds, yet there are many that weigh two pounds or less. Suspension also depends on the type of hiking you’ll be doing. If you hike in hot weather, a system with plenty of ventilation will be important. For more technical trekking, stability is the biggest key. Whether if you’re just starting out, or you’re a seasoned trail junkie, comfort matters. Be sure you test packs and try them on. Find a pack that feels great. What features matter most to you? External trekking pole rings? Hydration compatibility? Make a list of what you’d like in a pack and find options that have those features. On the trail, a well-organized pack can save you time. You should have easy access to your gear, especially safety gear. Most packs on the market are water-resistant, and some are even waterproof. But you might also consider a rain fly for your bag, even if it is water-protected. ... Now you know what you’re looking for when you are searching for the best outdoor backpacks. Time to start planning that epic jaunt in Canyon lands or hit the ATC! Camping, backpacking, hiking, climbing... be sure to follow us below or get in touch with questions, comments or concerns. 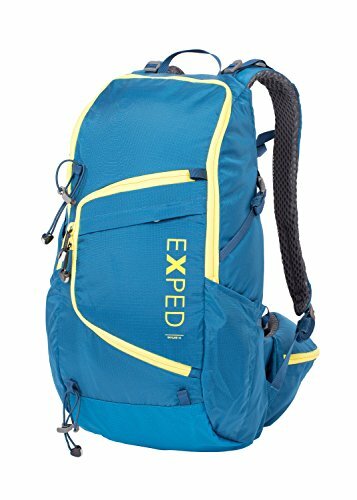 BEST HIKING AND CAMPING BACKPACKS - RATED AND REVIEWED.